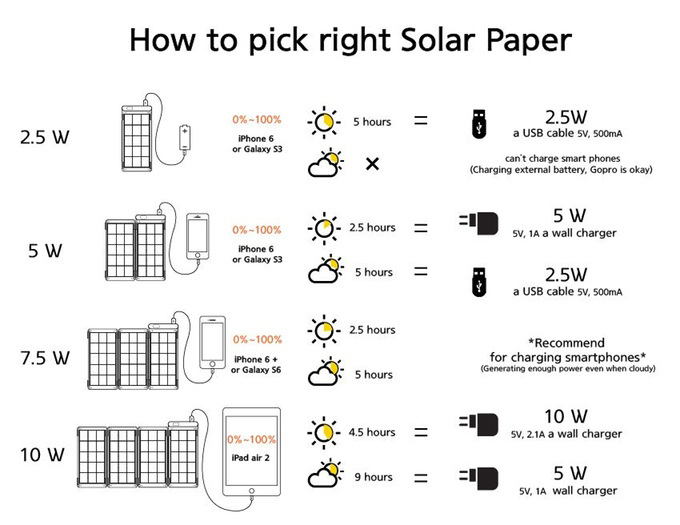 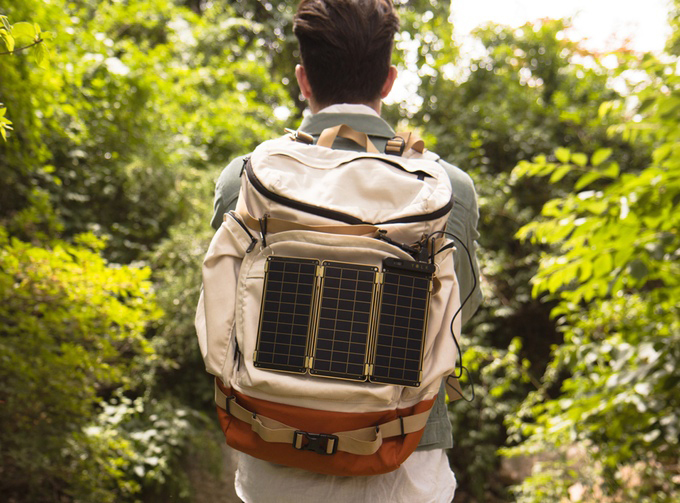 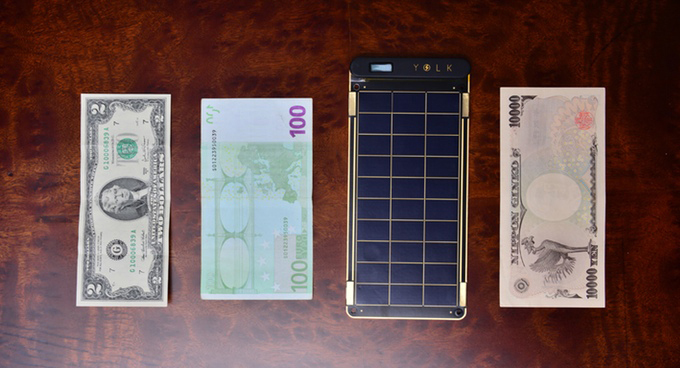 Yolk claims its Solar Paper is the world’s thinnest and lightest solar panel. 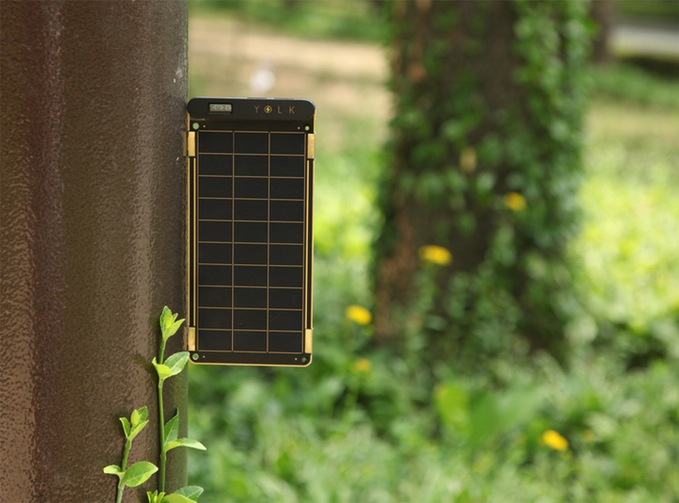 Each panel generates 2.5W of power, but you can connect up to four of them using their built-in magnets. 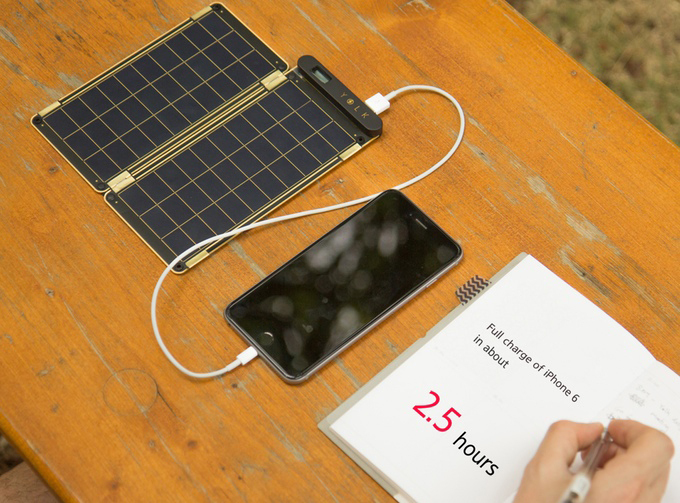 Note that the final product will have only 1 USB port.